Everton have again failed to deliver at the business end of the season. 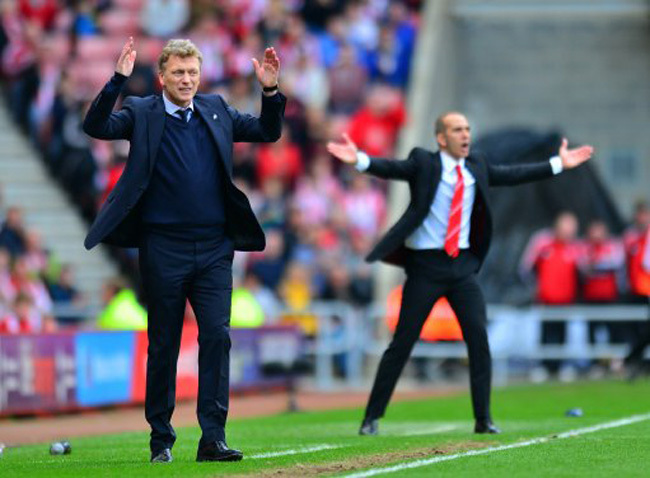 After superb performances against Tottenham and Arsenal, the Blues travelled to the North East to take on Paolo Di Canio’s Sunderland for a difficult but winnable fixture. However Everton produced a display which lacked the urgency and the skill required to unlock the Sunderland defence and left the Stadium of Light with shattered dreams of Champions League football. The crucial goal came just before the half time whistle. The ever reliable Leighton Baines, caught up in the general lethargy of the all-round display, played a sloppy ball out of the reach of the obviously struggling Leon Osman and within seconds Sunderland were ahead. A quick pass into the path of Sessesgnon and the Beninese striker buried the ball past the despairing dive of Tim Howard and into the net. Tim Howard could have done better, but in fairness to the American goalkeeper, he had already reacted well to a number of Sunderland chances to rescue his below par defence. Everton did improve after the break, but struggled to create a genuine chance. In fact the nearest Everton got to a goal was the extraordinary back pass from one of the Sunderland midfield players, which looked destined for the goal until Mignolet decided the only course of action was to catch the ball and concede an indirect free kick deep inside his own penalty area. Should the Sunderland keeper have been sent off? He had certainly denied Everton a definite goal, but on this occasion the referee decided a Yellow card was sufficient and in fairness a team pushing for Champions League football should not be relying on a helping hand against a team struggling at the foot of the Premier League table. Everton were carrying too many passengers. Steven Pienaar and Leon Osman, so often the creative sparks in the Everton midfield were shockingly out of form. Struggling to retain possession and slowing the game down, when an injection of pace was required. Darren Gibson and Victor Anichebe both left the field with injuries and with Heitinga filling in for Jagielka at the back, Everton’s rear guard did not look as secure as in recent weeks. Ross Barkley would be right to consider himself incredibly unlucky not to start after his impressive midweek display at the Emirates, but Moyes decided to bring back a half fit Osman, a decision encouraged by the injury suffered to Jagielka and the need for some leadership qualities in the centre of the team. Everton now have four remaining fixtures, and with results elsewhere going against them, even the Europa League looks a distant possibility. Local pride on Merseyside remains a consolation prize, but following a season which promised so much for so long, just finishing above Liverpool would feel like failure, when the carrot of playing at Europe’s top table was so agonisingly close. Evertonians must also endure weeks of speculation on both the future of the manager and the star midfield man Fellaini. The Belgium was one of the few who left Sunderland with any credit and Everton will need to re-invest well if Fellaini decides to move on in the summer. Next Post Early start to the transfer rumours and we don’t even know who our manager is yet!! !